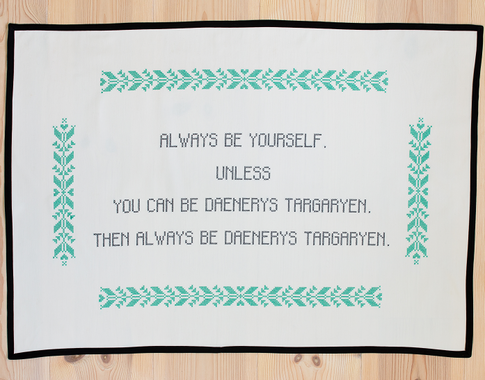 There is nothing negative with not wanting to be yourself, if is all comes down to wanting to be Daenerys Targaryen. She is a powerful woman who can tell right from wrong, and she bred all by herself – they will do everything for her. 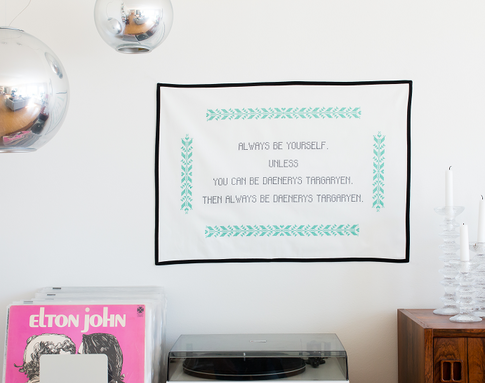 You might know someone who is in need of some cheering up, in the form of a wall hanging? Sometimes it's nice to know that you don't have to be yourself all the time. So why not show that with cross stitches?